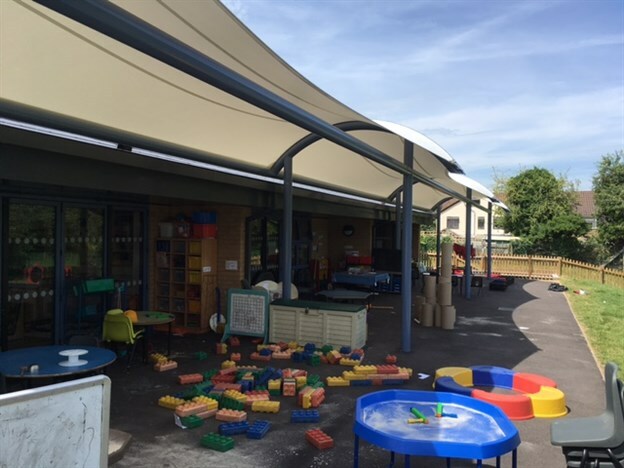 This infants school in Wiltshire needed some essential sun shading and rain protection in their rear play area. 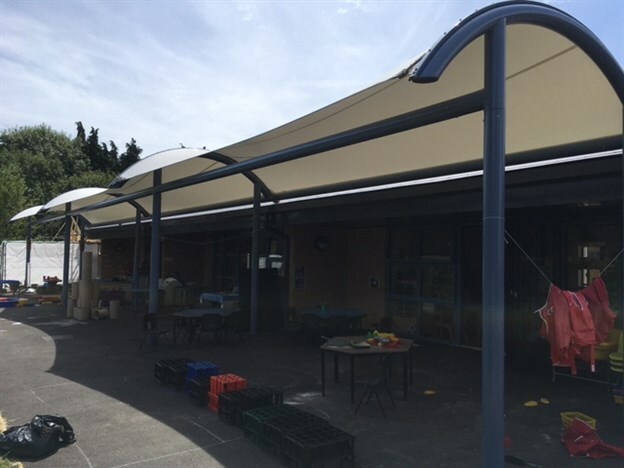 We designed, manufactured and installed a large three-bay barrel vault canopy for them to span the back of the building and tie in with the contours of the extention. The canopy really helps to open up the outdoor space for the pupils - perfect for outdoor learning and playtime. 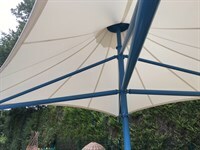 This canopy is based on our Aquila walkway structure. Other walkway canopies can be seen here.